Cauliflower is all the rage right now because it's the perfect substitute for a lot of carb-heavy foods such as rice or mashed potatoes. So if you're looking to add some more veggies to your diet or cut back on carbs, this delicious casserole is the dish for you. 1. Preheat the oven to 325°F. 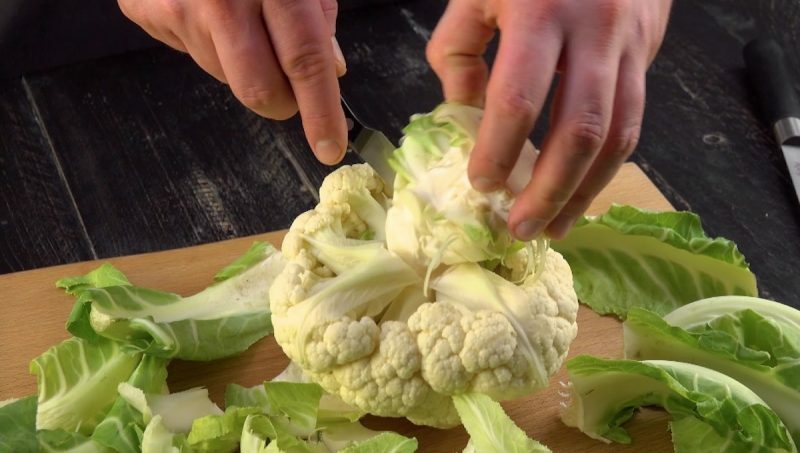 Remove the outer leaves from the head of cauliflower, cut out the stalk, and boil in salted water until cooked. 2. 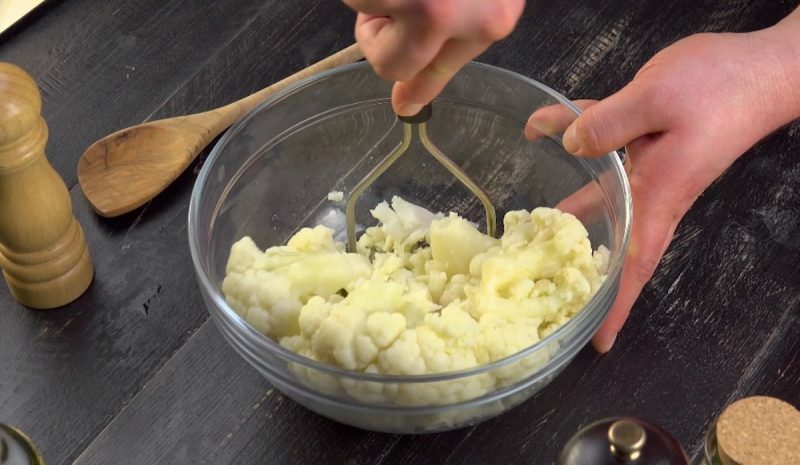 Put the cauliflower in a large bowl and mash it with a potato masher. It's fine for a few lumps to remain. 3. Add the flour, egg, and seasonings and stir until all mixed together. Spread the cauliflower layer on the bottom of a casserole dish and top with ⅓ of the cheese. 4. 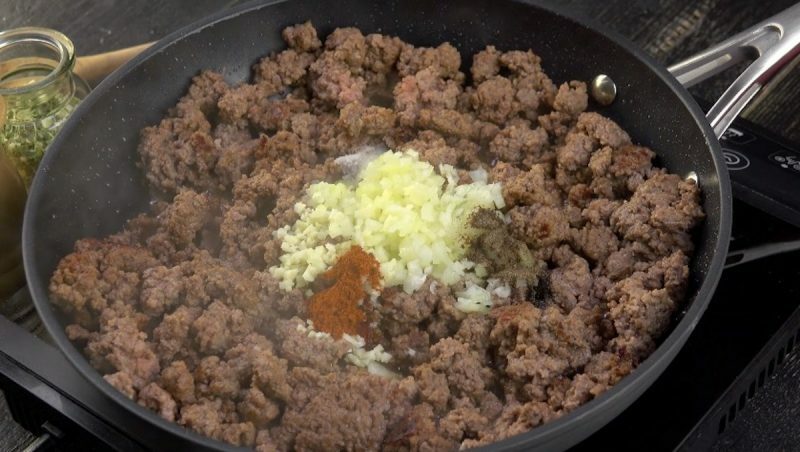 Brown the ground beef in a little bit of olive oil and add the onions, garlic, and seasonings. 5. Now prepare the béchamel sauce. Let the butter and mustard melt together in a pot and gradually stir in the flour. Once the mixture starts to bubble, add the cream, salt, and pepper and bring to a boil. 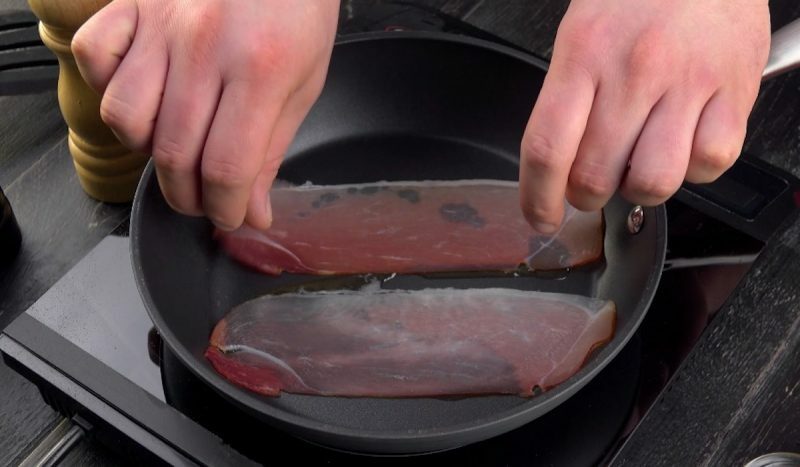 Cook the 8 slices of prosciutto in some oil, remove from the pan, and let cool. 6. 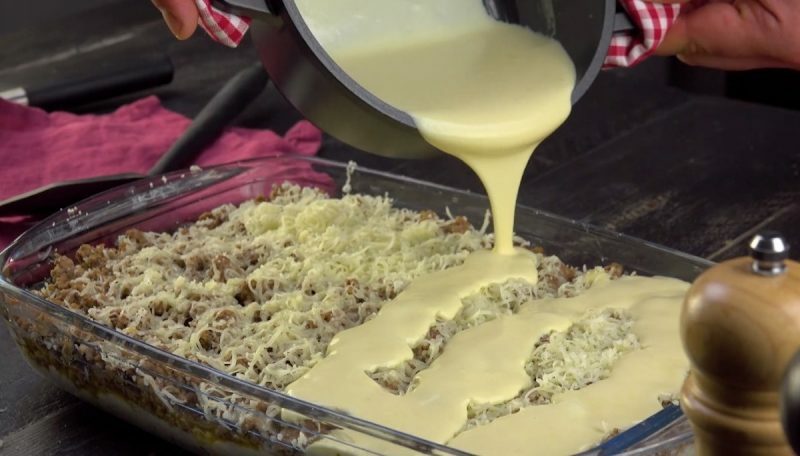 Now layer the rest of the casserole: ground beef, ⅓ of the shredded cheese, and béchamel sauce. 7. Tear the prosciutto slices into pieces and spread over the sauce. 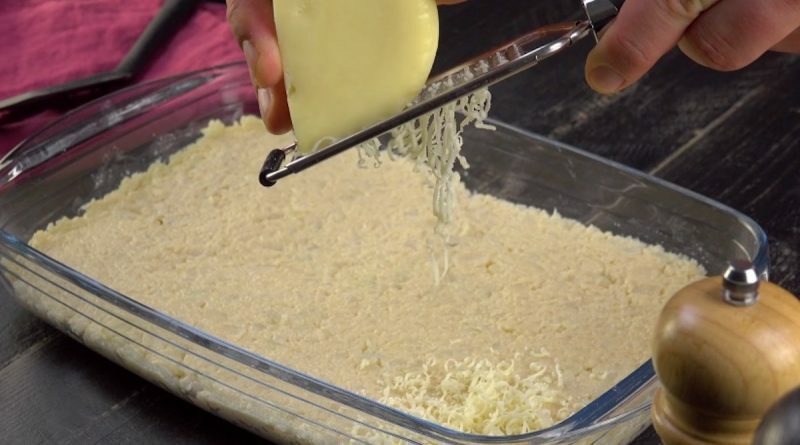 Add the remaining ⅓ of the cheese and bake for 25 minutes. 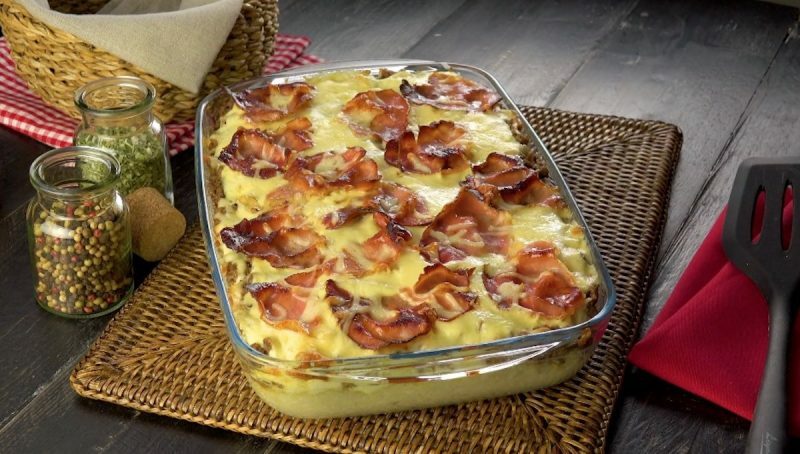 Feel free to substitute the cheese and prosciutto for cheddar cheese and bacon to make this a bacon cheeseburger cauliflower casserole! You can find the recipe for the Stuffed Cauliflower featured in the bonus video here.